A beautiful handmade hen party sash in a brilliant bright polka dot fabric with a contrast fabric pin. Perfect for the discerning bride to be or other member of the bridal party. 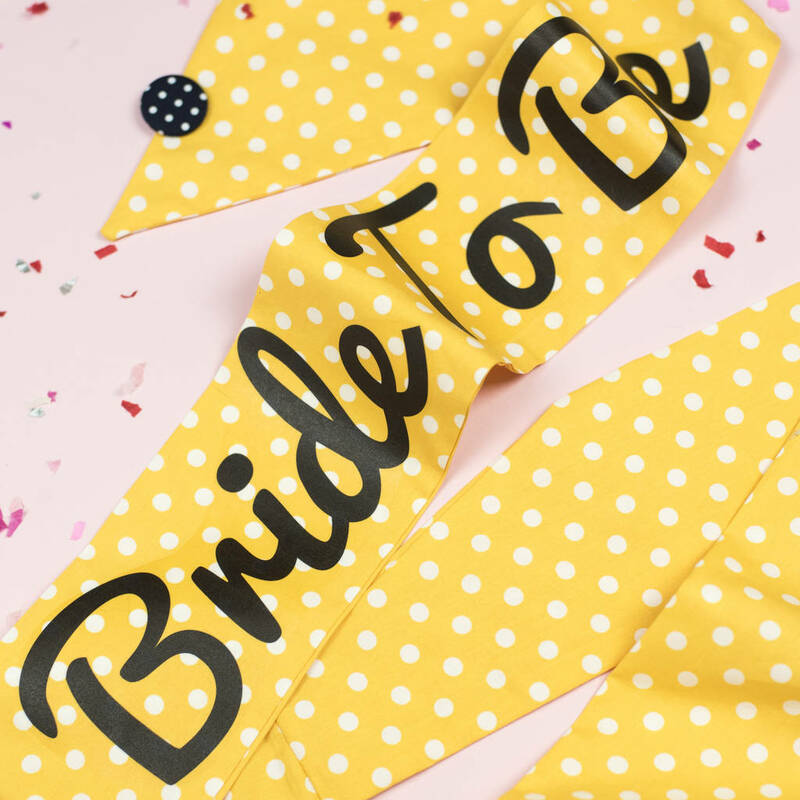 Your sash is handmade to order in your choice of wording. It's a lovely personal accessory for the hen night or weekend, without being loud and tacky like lots of other hen party accessories. It makes a lovely souvenir to keep forever. 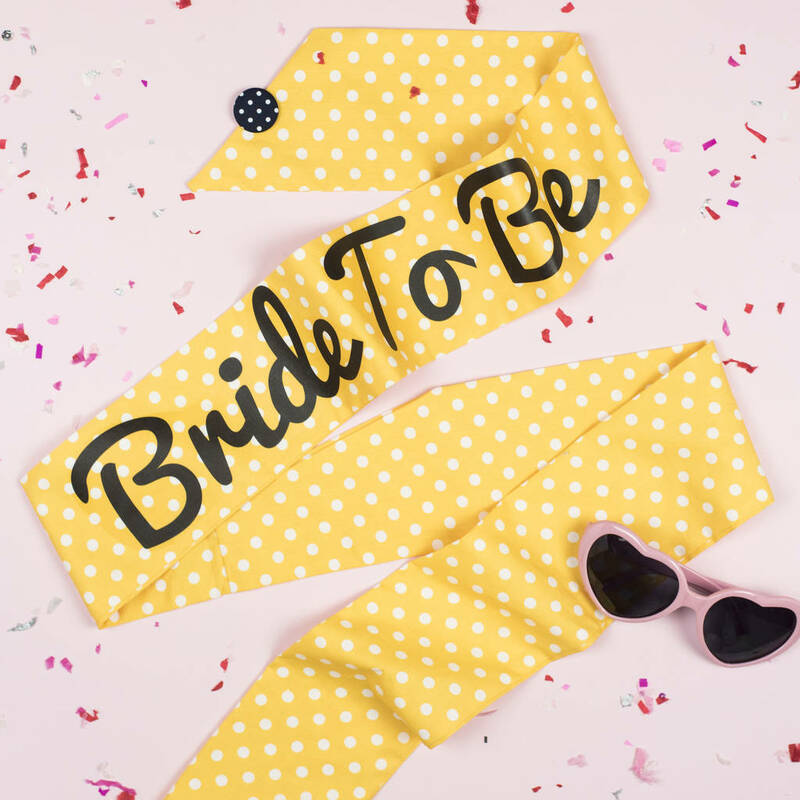 Your sash comes complete with a mini polka dot fabric covered badge to pin it in place. Have a look at 'more items from this seller' as there are lots of other original and stylish hen party items. UK orders over £30 include free postage so you can purchase a mix of products to make the most of this! There are some rockabilliy style polka dot badges too. Select from a choice of wording to make it extra personal for you. 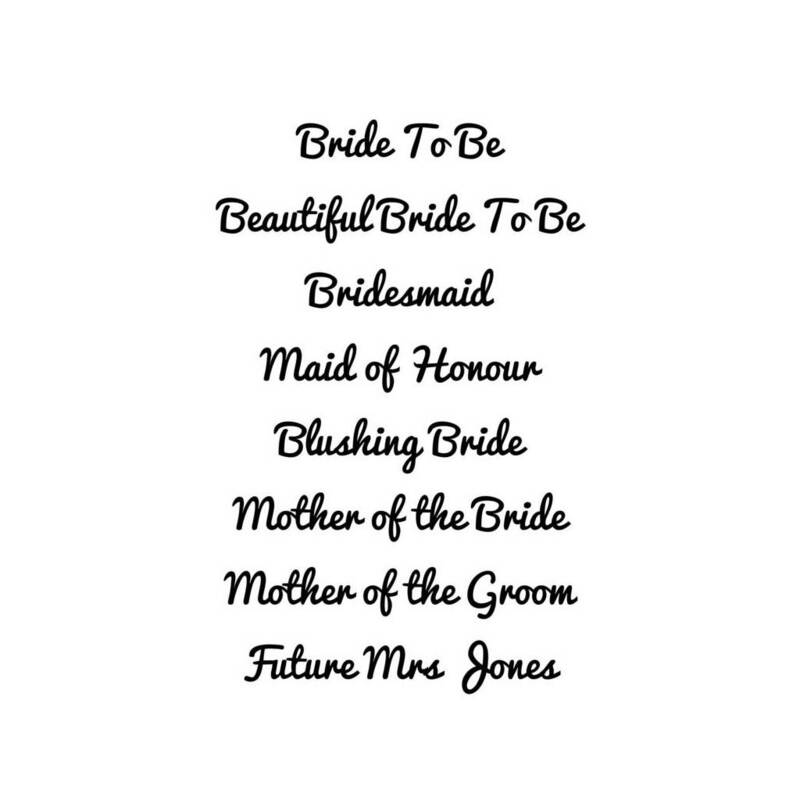 You can choose to add the future surname of the bride to the sash too, for an additional fee opf £2.50. Please note, for the options with more words in (or a long surname) the size of the print made need to be smaller to accommodate. In some cases, the print may take up the entire length of the front of the sash. You can opt to have a print on the front and back of the sash for an extra £6. 100% cotton - Print is via transfer and therfore cannot be washed or ironed. The sash was specially developed to fit comfortably with shaping around the neck rather than just being a simple strip. With this in mind, it moves with you and is easy to wear. The fabric is on the inside of the sash too. Your sash is fastened with a fabric covered metal pin badge - this can be moved to allow ease of movement. Do not wash or iron. Approx 165cm in length - suitable for dress sizes up to 18. If the sash is for a larger size please mention this when purchasing and I will try and accommodate. You can message us via the 'ask seller a question' button. This product is dispatched to you by Oh Squirrel.